The Elastane shoe has been part of the Cosyfeet range for a number of years. Our customers love the ‘made to measure’ feel as the stretchy Elastane gently moulds to practically any foot shape without putting pressure on bunions, problem toes or swelling. Betty has been a Cosyfeet customer for 15 years since her feet and ankles began to swell following a hip replacement. 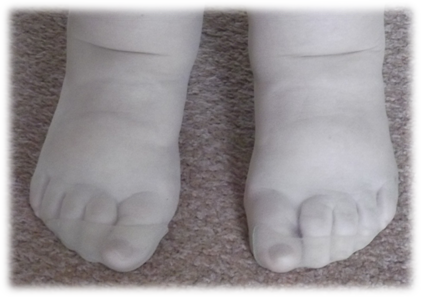 Betty admits that she struggled to find footwear prior to this as her feet are wide and she has a high instep. 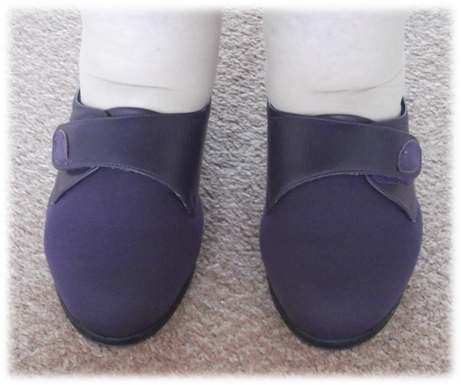 Over the years, Betty has worn a number of Cosyfeet styles but she particularly likes Cosyfeet Elastane shoes as they are so comfortable. She was delighted when Karen was launched. Betty’s feet are typical of many Cosyfeet customers. The polyurethane sole on Karen is lightweight and flexible. It is also shock absorbing which makes walking in them much more comfortable. The toe area is seam-free so there is nothing to rub Betty’s sensitive toes or joints and the Elastane fabric stretches to accommodate her swelling. Since Karen comes in full sizes only, Betty wears an insole allowing her to wear a size 5 securely.